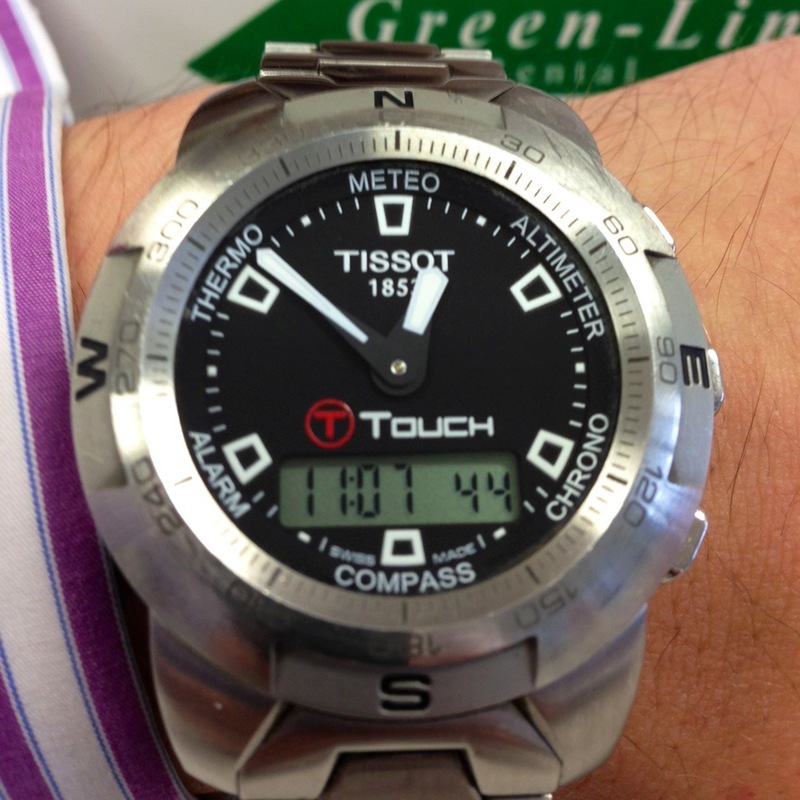 Another fine example of a watch in the digital – analogue style. 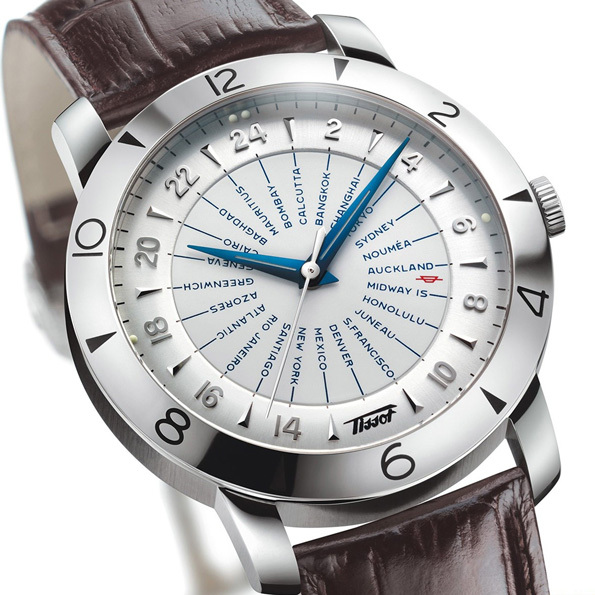 Categories: Tissot, Watch Blog, Watch Spotting | Tags: digital analog, Tissot, watch, watches | Permalink. Tissot have caught our eye recently with a couple of crackers that have really made us sit up and take a fresh look at this famous Swiss brand, which now sits under the Swatch Umbrella. 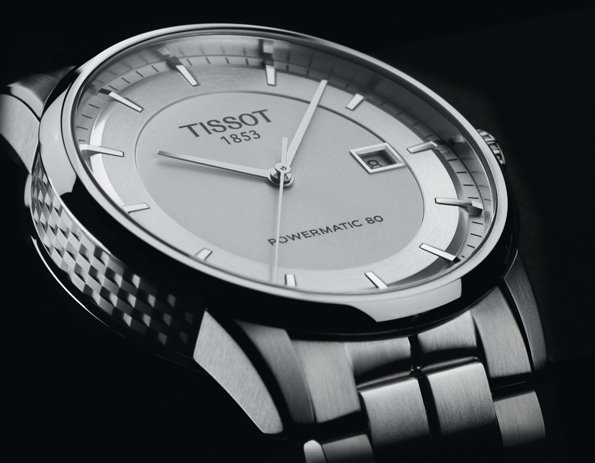 First up we have the Tissot Automatic Visodate 1957, shown above, which has been updated to suit the modern man with a bigger 40mm case and with a transparent back and scratch-resistant sapphire crystal. It comes in four versions, in steel with white or black dial, alternatively in gold PVD with white or black dial, each with crocodile embossed leather strap. Visodate was, when it was launched in 1953, one of the first automatic watches equipped with a date display. Prices start from around £385. Finally, Swiss watchmaker Tissot is turning 160 and to make it special, they’ve created an anniversary timepiece. 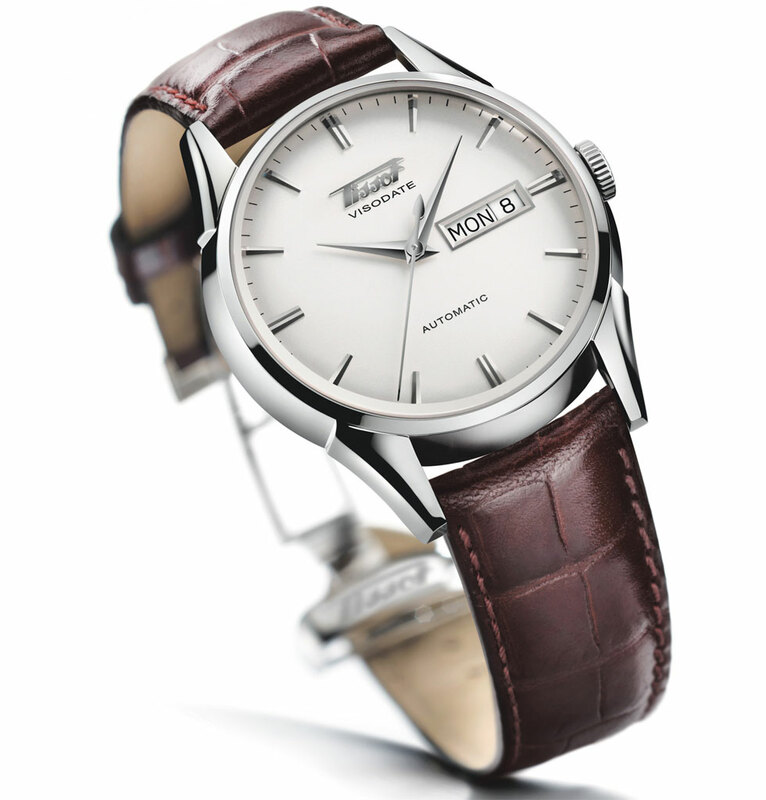 The Heritage Navigator Automatic is a remake of a model first made to commemorate their centenary back in 1953. Like all good designs, the styling of the classic chronometer looks just as good now as it did 50 years ago. This is available from November 2013 and while I am not aware of pricing I would expect it to come in around the £1400 mark. Categories: Tissot, Watch Blog | Tags: Tissot, watch, watches | Permalink.